Hughes and Kettner are by far the best amps I have ever played from the Coreblade to the Grandmeister I get everything I need out of an amp. Amazing pristine cleans and modern Hi gain sounds, incredible noise gate and effects built in. 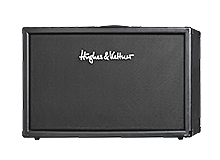 If You're looking for a super versatile amp H&K is the way to go! I strongly recommend the Coreblade, Grandmeister if you're a rock/metal musician! Brazilian-born guitarist GUS SINARO is fast establishing himself as a worthy warrior in the world of heavy metal. After founding and fronting the successful metallic thrash act Symphony of Malice, SINARO is about to take on the heavy music world with his own eponymous project. Building upon the whiplash-inducing drive of S.O.M., SINARO infuses that sound with a more melodic and anthemic sheen on debut release Darkest Hours (The Rebirth) and ‘No Salvation,’ the album’s first single. The single’s accompanying music video, a gnarly, little urban nightmare. “Bullet Through Your Head” is the latest auditory and visual onslaught from this revelatory release featured on Revolver Magazine. During his adolescence in Brazil, SINARO was quick to discover the thrill of heavy metal and hard rock after hearing Metallica, Iron Maiden and Alice in Chains for the first time. Hearing those bands ignited in SINARO a passion for singing and playing guitar. Pushing himself as much as he could, he became an accomplished multi-instrumentalist and songwriter. Then, at the age of 17, SINARO made the biggest investment in his musical career by moving to the U.S. After playing leads in a handful of local bands left him wanting, he decided to branch out on his own and create the sound he was hearing in his head. This began with the inception of Symphony of Malice, a band whose sound was akin to that of SINARO’s peers in Trivium and All That Remains, but whose foundation was rooted in the stadium-sized thrash of bands like Metallica and Megadeth. Judgement Day (The Aftermath)¸ the debut album by S.O.M., garnered the group some commercial and critical success. That release, as well as a slew of gigs opening for monster acts like Trivium, DevilDriver, Drowning Pool, Korzus, Nervosa and Eye Empire, earned them a strong fanbase. It also gave SINARO the confidence to go one step further and create his solo project. So, in February 2014,SINARO was unleashed upon the world in the form of Darkest Hours (The Rebirth) and its first single ‘Bullet Through Your Head.’ Building upon what he began in S.O.M., SINARO has taken the most extreme elements of his previous band and given it a bigger, more powerful approach. It maintains that metallic approach while incorporating a leaner, more hard rock sound, a la Alice in Chains, a major influence on SINARO and the record. Ear-catching and earth-shattering, SINARO will continue to gain fans and followers worldwide.